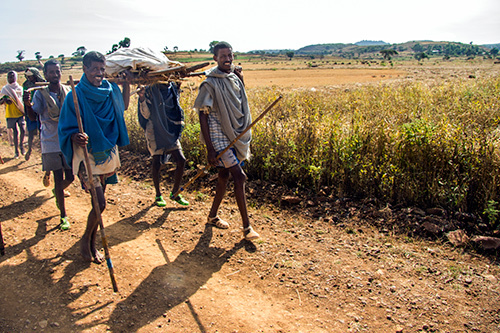 AMHARA REGION, Ethiopia – They called it the Stealer. It came to their homes in this remote part of northern Ethiopia, and claimed the lives of women in childbirth. It took Asmer Geremew’s mother, as well as her younger and older sisters. Ms. Asmer only narrowly escaped it when her son was born three years ago. In the rural village of Tebabari, she had given birth to a healthy baby, but the placenta did not follow. Instead, Ms. Asmer began to bleed profusely. “I delivered, and then the Stealer came,” she said. Ambulances were not yet available in Tebabari, so neighbours and relatives carried her to the nearest health facility, shouting and shooting guns as they went. UNFPA is working with the government, community leaders, health workers and other partners to improve maternal health in rural Ethiopia. Together, they hope to banish the Mother Stealer for good. The Stealer – which is sort of like a spirit, locals explained – is how Ms. Asmer’s community perceived complications of pregnancy and childbirth. 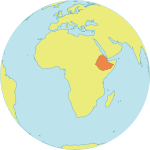 Pregnancy-related deaths are tragically common in Ethiopia. In 1990, the country had one of the highest maternal mortality rates in the world, according to UN data: 1,400 women died for every 100,000 live births. “How many mothers perished!” remembered 45-year-old Kewen Mekuanent, who used to be a traditional birth attendant. Things have improved in the last 25 years; there has been a 69 per cent drop in the maternal death rate. But there is still a long way to go before motherhood is safe for all women. 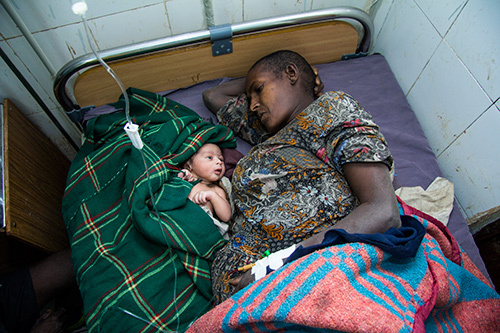 In 2013, Ethiopia, which has just over 1 per cent of the world's population, accounted for about 4 per cent of the world’s maternal deaths. People like Ms. Kewen are changing these grim statistics. Now a community leader, she encourages pregnant women to receive proper care before, during and after they go into labour. This means receiving at least four antenatal care visits and delivering in a health facility, under the care of a skilled birth attendant such as a doctor or midwife. “There used to be many that delivered at home. Now we go around looking for pregnant women and urge them to deliver at a health facility,” said Fasika Maru, a midwife at the Ambesame Health Centre. Women who deliver in health facilities can receive swift emergency care when complications arise. Ambulances are now available through a UNFPA-supported programme. One such ambulance had brought Anguach Abebaw, 26, to Ms. Fasika’s health centre from the nearby village of Goha. Ms. Fasika examined her, and found that the foetus was not in the right position. Another ambulance ride was quickly arranged, this time to take Ms. Anguach to a referral hospital. Still, if Ms. Anguach were to need a Caesarean section, surgical staff are available in the local referral hospitals. They are trained through a health ministry programme, supported by UNFPA, which aims to produce 800 to 1,000 emergency surgical officers by 2020, for deployment mainly in rural communities. Access to this fast and expert care is saving lives. In the small town of Quarit, Tegest Aemro was in labour for hours at the local health centre. When it became apparent something was wrong, she was rushed to Finote Selam District Hospital. Her foetus was in distress by the time she arrived. “If we were not here, she would have to be referred to Debre Markos Hospital, another 50-minute drive. By then, the child would already be dead,” health officer Kebede Seid told UNFPA. Much more is still needed to promote and protect maternal health. In 2011, for example, a survey found that just 10 per cent of Ethiopian women delivered with the assistance of a skilled birth attendant. But health workers, community leaders, and women like Ms. Asmer are making a difference. Ms. Asmer did not want to leave anything to chance when she gave birth to her sixth child recently. She went to Ambesame Health Centre and told the nurses that she would to stay until she delivered. She ended up spending 15 days there, and she grew close to the health workers, who ensured her delivery was safe and her baby was healthy. “They loved me there,” Ms. Asmer said.